Opening the pack, the first thing i noticed about the i-Mego Retro Heavybeats headphones was the really robust build quality. There’s no cheap plastic or flimsy construction here. It felt like a really solid quality product. I also love the design. 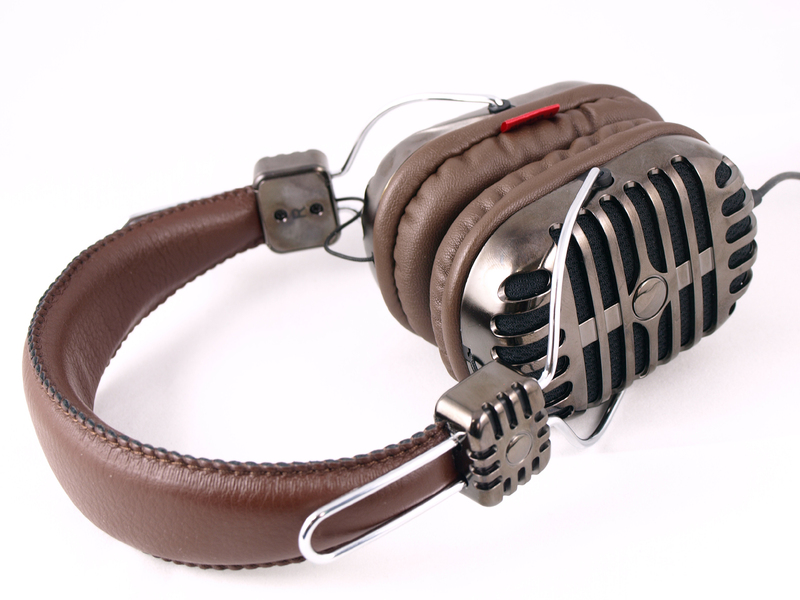 Styled on the iconic classic microphone, the look is totally unique. Thankfully they aren’t just style over substance either. The sound quality is superb, with the ‘heavybeats’ easily living up to it’s name. They also don’t neglect the higher frequencies, giving a solid performance with whatever my somewhat eclectic iTunes library threw at them! I tested them out at the office to see how well they cut out background noise, and they actually did a pretty decent job of that too. They were also reasonable comfortable to wear for the majority of the day. The i-Mego Retro Heavybeats are some of the best we’ve had on a GeekTest and well worth a look if your in the market for some new headphones. 9/10 – A classy & quality product with a great sound. Awesome post, I prefer wireless headphones myself.